Warwick Valley High School is proud to announce its Class of 2018 Valedictorian, Jack Schenkman, and Salutatorian, Jacqueline Grundfast. 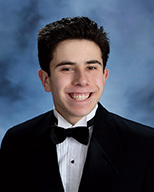 Jack Schenkman will attend Princeton University this fall, where he will study computer science. Jack is president of the Senior Class, president of the Student Senate, and the student board member of the Warwick Historical Society. For the past four years Jack has played soccer on the high school team. He is a member of National Honor Society, the Orange County Academic League, and Mu Alpha Theta. conducting original research on data compression. He also volunteers at the Hope Chest Thrift Shop in Warwick. 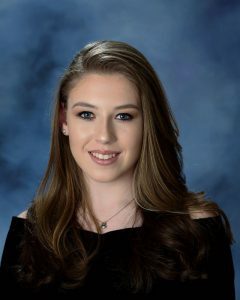 Jacqueline Grundfast will attend the Commonwealth Honors College at UMass this fall in Amherst, Massachusetts. She will major in astrophysical sciences, then plans to continue her education in graduate school. Jacqueline was the Girls Varsity Tennis captain and first singles player for three years, qualifying for states and played on a USTA team. She has volunteered more than 100 community service hours mentoring children and fundraising for her school district. She is a National Honor Society and Mu Alpha Theta member. Every summer, Jacqueline teaches children tennis, and enjoys tutoring during the year most days after school.